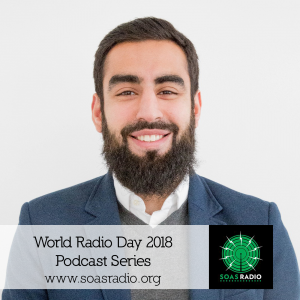 In this episode, Laura Siegler talks to Omar Salha, Phd Student at SOAS University. Omar’s research focuses Muslim football players and their role in the integration of the Muslim community in Britain. He is also a member of Football Beyond Borders, an organisation that supports young people from low income background in education, work and public life through football practice. Omar talks about structural improvements through accommodation of religious practices in football clubs, and the different influences that local sport practices and mega sporting industries have on identity politics. In conversation with Research and Project Manager of Positive Negatives - Sara Wong. "PositiveNegatives produce... Read more.. In Conversation with Vanessa Berhe and her campaign 'One Day Seyoum' working for the release of her uncle and... Read more.. In conversation with guest Hannah Clark (Lorna Young Foundation, Farmer Radio) More on the Lorna Young... Read more..